FACT: 49.7% of businesses say forms are their highest converting lead generator! Forms formatted to encourage real conversations with your visitors. HappyForms offers you more benefits for free than competitors' paid plans. Birds-eye archive of your messages, read and unread, in a filterable list. Have peace of mind knowing your messages are getting delivered. Build, configure and style forms all in one easy live preview screen. Built-in Honeypot and ReCaptcha spam protection for messages. Download HappyForms — Free Forever! 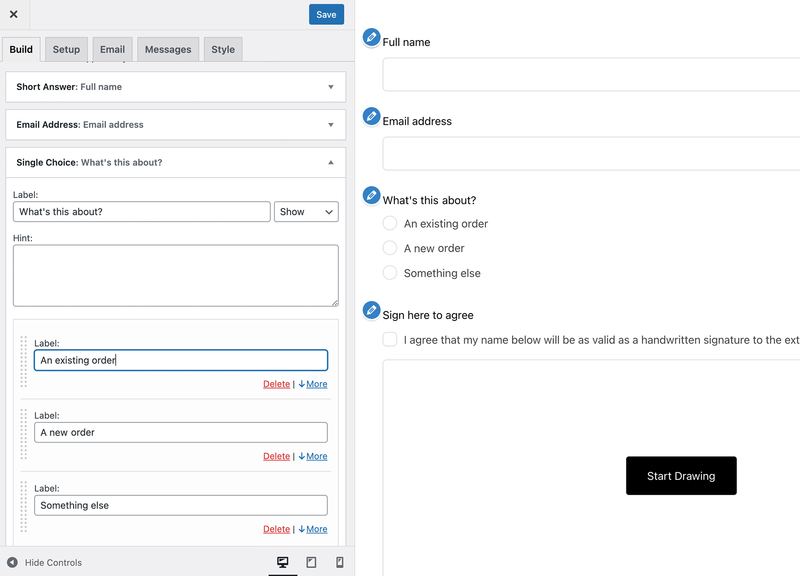 Since I switched to HappyForms my forms are working great, and I no longer have to worry about the Contact Form 7 problem I had.